We’ve update the .NET RIA Services build for May 2009. The updated May preview can be downloaded here: .NET RIA Services May 2009. You may have to uninstall your previous version before installing this one. What is .NET RIA Services? Microsoft .NET RIA Services simplifies the traditional n-tier application pattern by bringing together the ASP.NET and Silverlight platforms. The RIA Services provides a pattern to write application logic that runs on the mid-tier and controls access to data for queries, changes and custom operations. It also provides end-to-end support for common tasks such as data validation, authentication and roles by integrating with Silverlight components on the client and ASP.NET on the mid-tier. 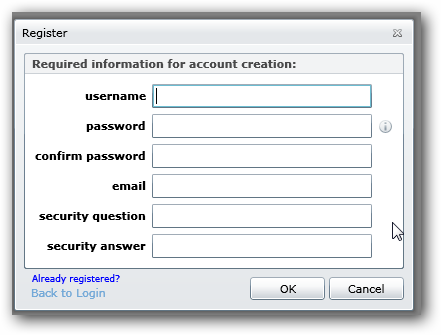 8:         // control functionality or verifying user's email address. 14:             // NOTE: ASP.NET by default uses SQL Server Express to create the user database. 15:             // CreateUser will fail if you do not have SQL Server Express installed. Because the membership APIs are provider-based, you can leverage whatever you want for your membership model and still use those APIs. The example uses the default mechanism in ASP.NET. Download the updated RIA Services bits today and take a look at the new template for integrating with the various ASP.NET providers. Thanks for the continued feedback and keep it coming!